Faster, sharper Clubsport celebrates 40 years of the Golf GTI, and it's a supremely worthy tribute. Good: looks, power, handling, still does the usual Golf stuff so well. 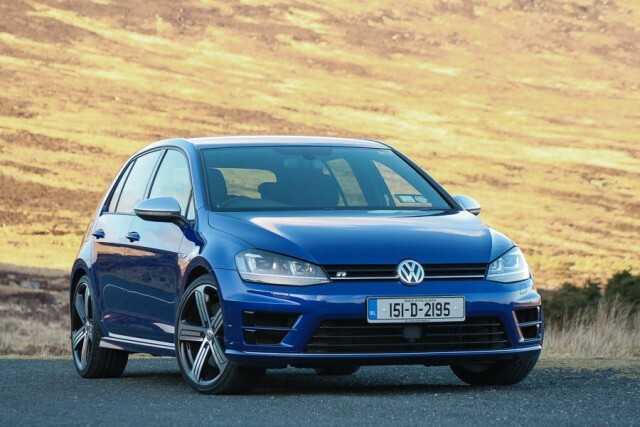 Not so good: pricing is in Golf R territory, front differential could still be improved upon. The Golf GTI ambled into middle-age territory this year and as a 40th birthday present to itself, Volkswagen created two special edition GTIs, the Clubsport and the Clubsport S. While the S left its rear seats behind at the Wolfsburg factory and headed straight to the Nürburgring to grab the front-wheel drive production car lap record, the regular Clubsport was designed to enhance the already competent GTI's traits for the road. Only 400 examples of the Clubsport S were produced and all are already sold, but there's still time to grab the tamer model. Our test car's dark grey paintwork does a good job of masking the fresh styling details. There's a new front bumper with a splitter underneath and 'air curtains' designed to channel air around the front wheels at the sides, new side sills underneath a black graphic stripe with "Clubsport" lettering and a larger roof spoiler. Underneath the rear bumper is a new diffuser with integrated exhaust outlets. Volkswagen claims that all these aerodynamic additions actually produce downforce. No specific figures are given, but there is said to be a significant increase over the rear axle at speed, with a smaller increase on the front. While you may find it hard to notice this while driving at legal road speeds, any reduction in lift will aid stability. That's reinforced by new springs, dampers and bump stops, and this car rides on gorgeous 19-inch 'Brescia' alloy wheels. Inside, there's a beautiful Alcantara-trimmed flat-bottomed steering wheel with red stitching and a red 12 o'clock marker, along with (optional) figure-hugging Recaros that hold one in place perfectly without being too uncomfortable on longer stints. The seating position is nice and low, and the rest of the cabin is typical Golf fare with some piano black and honeycomb trim added in, so it's a pleasant place to be. Those special seats make access to the rear rather cumbersome on the three-door model, but there's a five-door Clubsport available, too. The six-speed manual gearbox is precise and short of throw, and definitely suits the overall character of the car more than the optional DSG transmission would. The suspension has been retuned to shift the balance away from understeer and there's a quicker ratio on the variable steering rack, too. While on paper these pale in comparison with the engine upgrades, they turn the Clubsport into an extremely competent car when the road gets interesting. Our test route in the Wicklow Mountains has fast bits, slow bits, crests and bumps that would make a World Rally Car wince and every grade of tarmac known to man, yet the Clubsport was unflappable there. It's not hugely throttle adjustable in the mould of the more extreme breed of vaguely old-school hot hatch, epitomised by the Renaultsport Megane, and the electrically-assisted steering is still lacking ultimate feedback, but it's definitely more agile and involving than the regular GTI. The recalibrated electronically controlled front differential works well, but the nose can still wash wide if you drive like a rock ape in the wet. It's not a big issue, and our test car's Pirellis may have contributed somewhat to that sensation. The brakes are the same as the ones fitted to the Performance Pack GTI, and are well able for sustained fast road use without suffering any discernible fade. The whole point of a good modern hot hatch is that it can carry out mundane journeys with minimal fuss, but can also turn into a hooligan in an instant when the right road presents itself. Volkswagen brought this idea to the masses forty years ago with the original Golf GTI, and the Clubsport does it all with more panache than ever. A motorway jaunt followed by a trawl through rush hour traffic was handled with the same ease as a standard Golf would, and only the slightly stiffer ride offered any clue as to the potential underneath. The biggest problem with the Clubsport is the fact that its older brother is the smooth and sophisticated Golf R. Both cost around the same, and for many people it's hard to turn down the Golf R's subtler looks and all-wheel drive security. For pure driving pleasure though, the Clubsport gets our vote. It looks great, and while the graphics and aerodynamic add-ons aren't for everyone, they certainly add a sense of purpose that's currently missing from the almost too smooth for its own good standard GTI. The Clubsport is the latest in a line of GTI anniversary models, and is the most fitting tribute yet to the hallowed original. 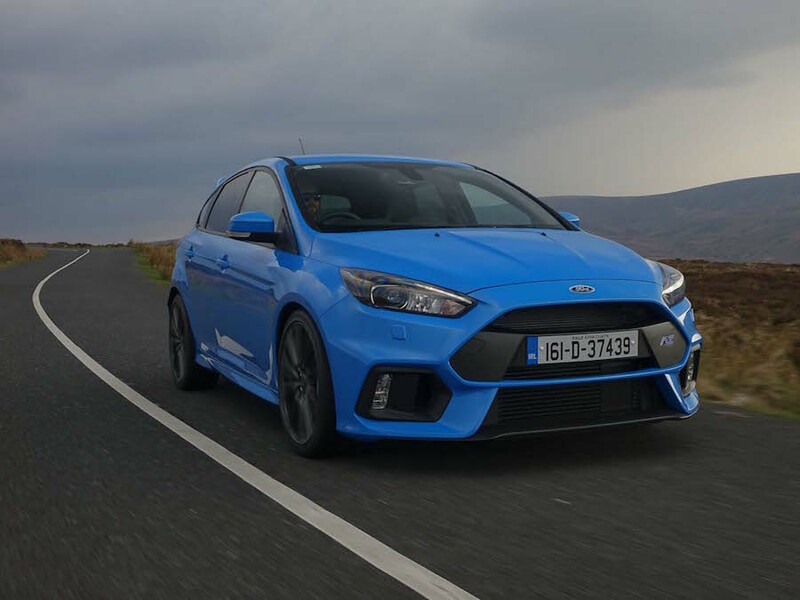 Ford Focus RS vs. Volkswagen Golf GTI Clubsport: the most eagerly-awaited performance car in recent memory is fantastic, but flawed, and the ride is still too extreme for Irish roads. 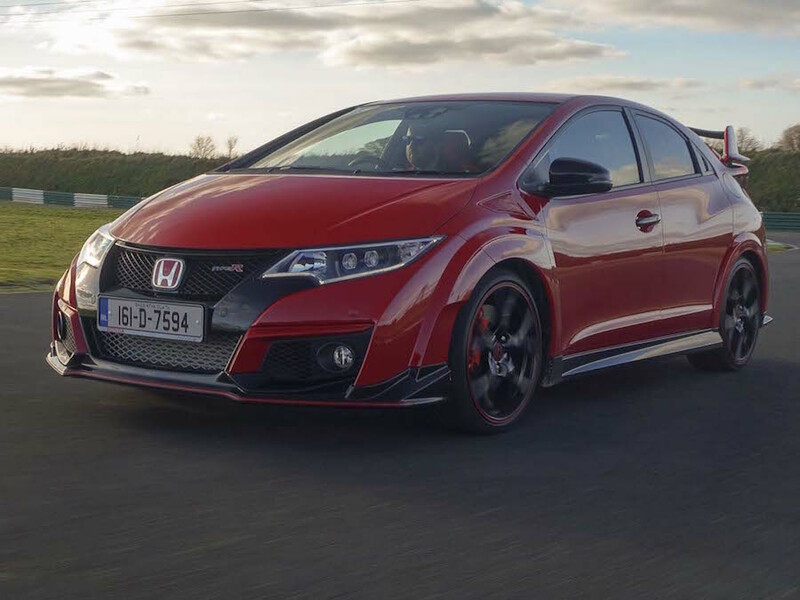 Honda Civic Type-R vs. Volkswagen Golf GTI Clubsport: the brash looks and very stiff ride mean that the Civic Type-R is a less attractive everyday alternative to the GTI. Volkswagen Golf R vs. Volkswagen Golf GTI Clubsport: a lesson in Q-car anonymity, still an involving drive and one of the best all-rounders that money can buy. Head says Golf R, heart says Clubsport.